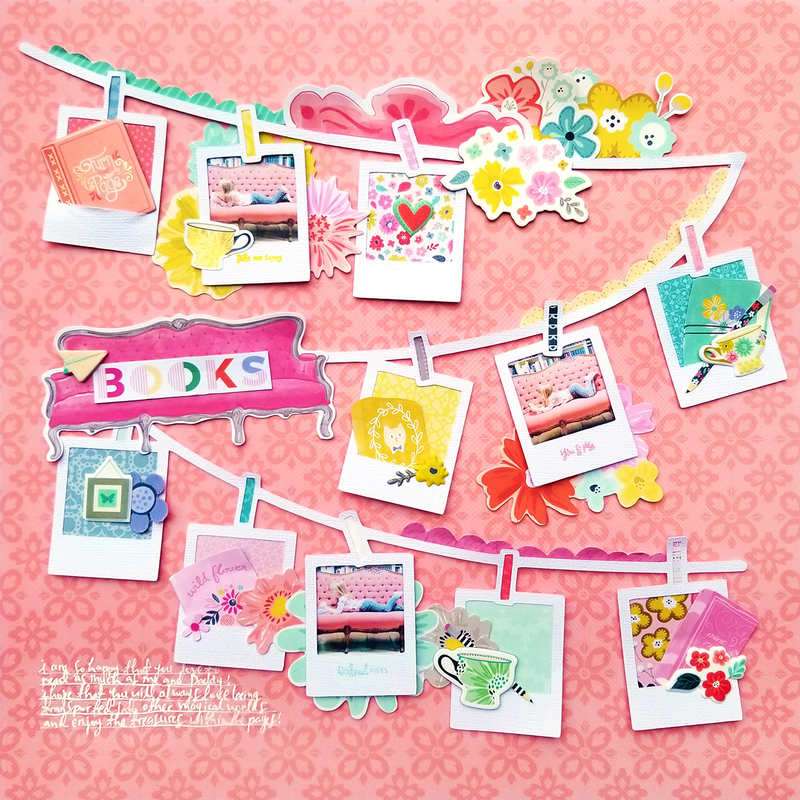 Here is my last layout from Paige's Pages 15 at Big Picture Classes! When it came time to make this last of four layouts, I was fresh out of ideas… I’d used them all up on the first three layouts! I asked Chris what I should do and he said I should make something minimalist. Hahaha! I just can’t, I don’t know how. But I decided to start simple – with my cut file called Frames Background. 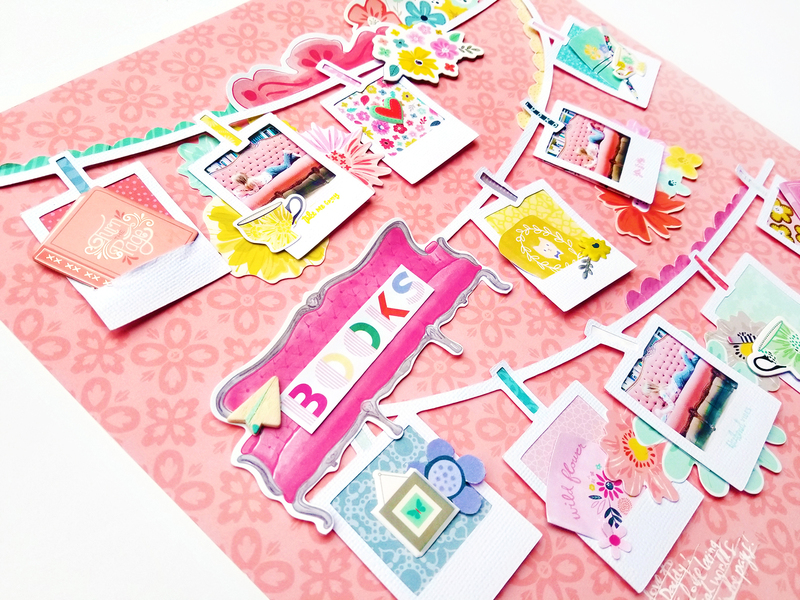 When all else fails I turn to cut files and I try to design them with scrapbookers in mind. 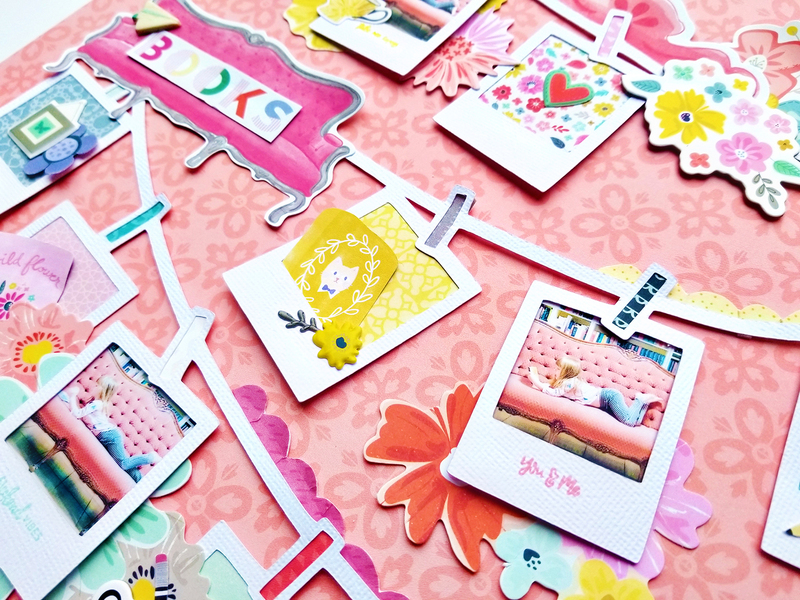 I backed the little photo openings with patterned papers and three little photos of Jane reading a book on THE pink couch. I say “THE” because this very couch was turned into a die cut in Take Me Away a couple years ago. I hadn’t used it yet but had planned to when I took these pictures early last year when we still lived in Germany. Finally, the stars aligned and I got to use it! Going along with the book theme, I found book stickers and papers throughout my collections and went to town decorating with all things “reading” themed like pencils and coffee mugs and frames like you would see in a little reading nook. The start-to-finish process video can be found over in the class if you're curious to see exactly how this layout came together. Love love love love this! 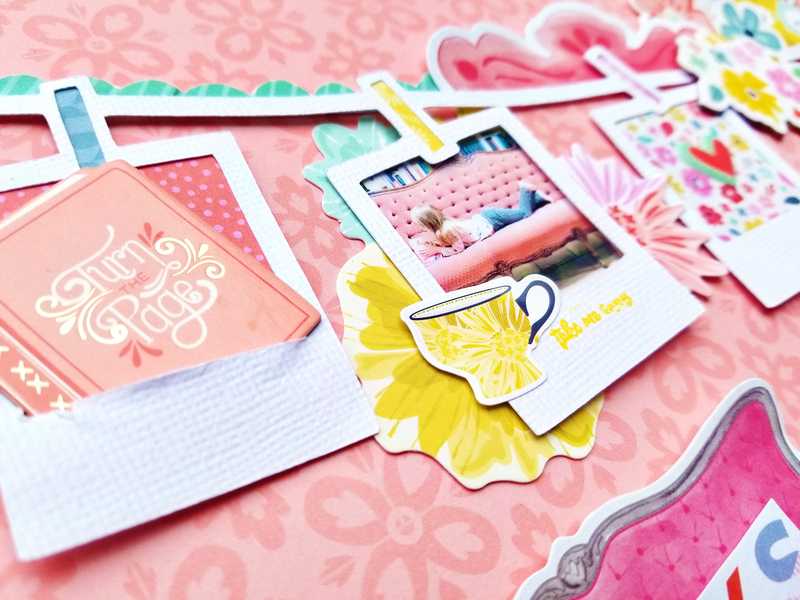 LOVING those photos of Jane on the couch and how you incorporated the couch embellishment on the page!! And LOVING those frames!! This is GORGEOUS!!!!!!!!!! !